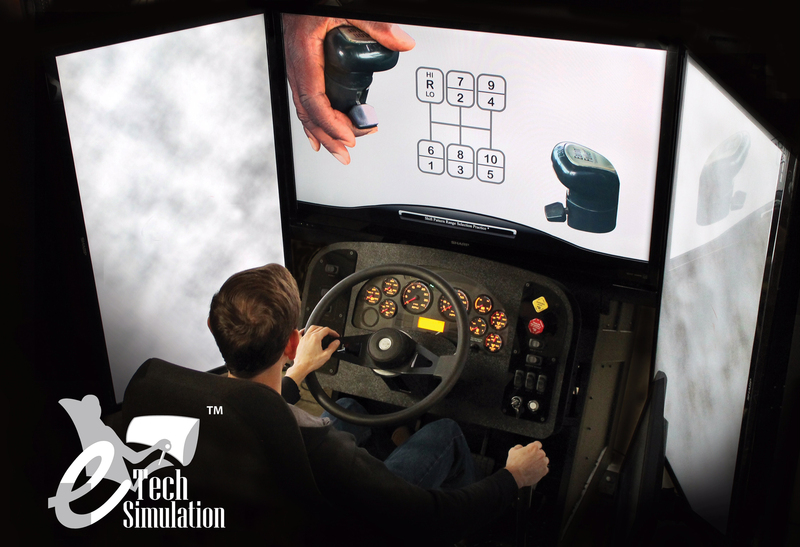 TRANSMATER is the most advanced simulation software for gear switching training. 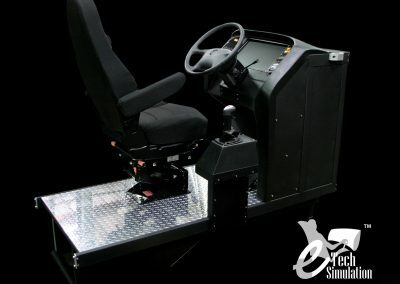 It includes different heavy load truck features with the option of adding the force feedback on the steering wheel, the shift bar and the pedals. 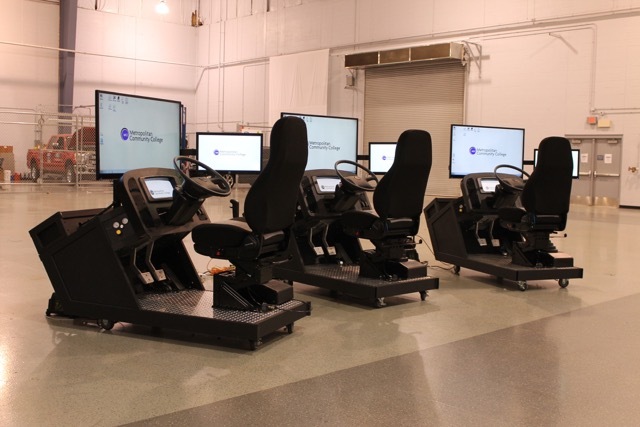 This type of training allows the trainee to learn the optimum vehicle operations through fuel consumption, cost-effective use of brake and tires, as well as increasing the engine life. 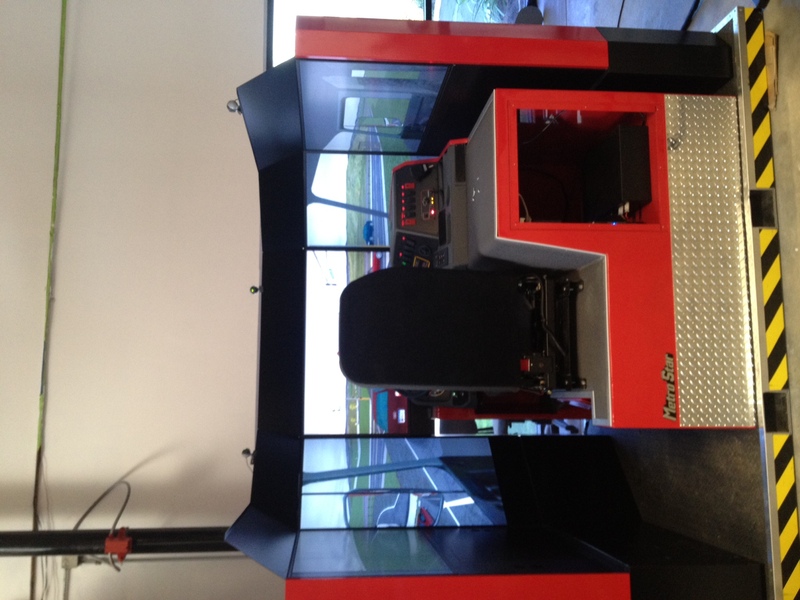 Our simulator can be integrated within evaluation systems, training and / or driver´s certification. 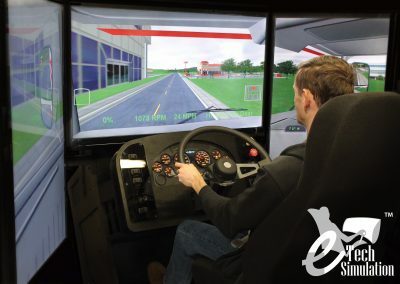 It can also be added to a specific driving curriculum using a methodology which includes environments and scenarios applicable to any country.The simulator includes Digital Coach, a patent approach optimized for each user based on their behaviors and actions. 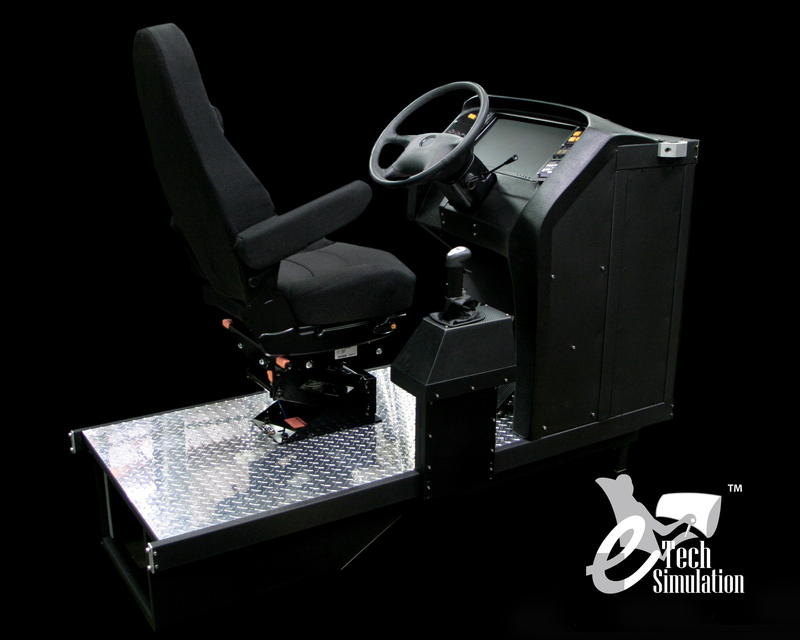 It allows the student to train more efficiently without the help of the instructor for the basic practice of recovery and use of the gearbox. 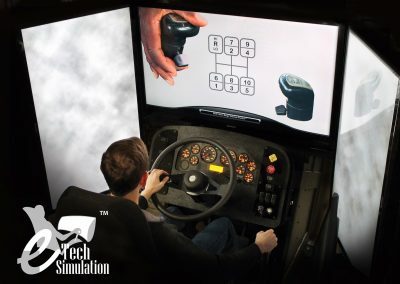 TRANSMASTER interactive modules include use of the gearbox for heavy cargo transportation as well as reinforcement of muscular memory to improve efficient and ecologic driving. Includes training and evaluation capabilities, with Microsoft Access data base interface and reports of each trainees´ practice. Likewise, this software includes the option of developing geo virtual environments typical of different vehicles. The instructor station includes training modules that range from the basic to the more advanced operations, where the instructor can modify the actual operation of various types of gearboxes to use with change of range and multiplier for boxes of 10, 13 or 18 gears. 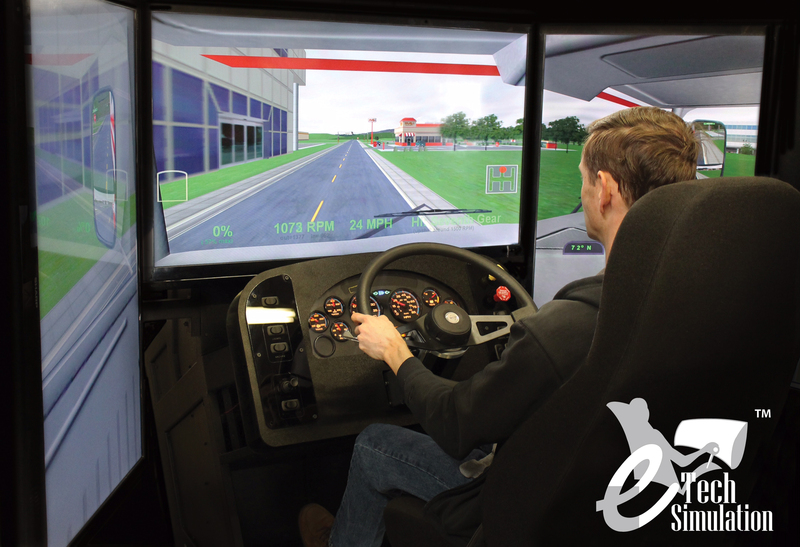 Allows training institutions to effectively focus on each student’s performance, in order to correct behaviors and improve their skills. Why change gears? Horses of Strength and Torque. Using the correct gear. Transmission, clutch and gear. 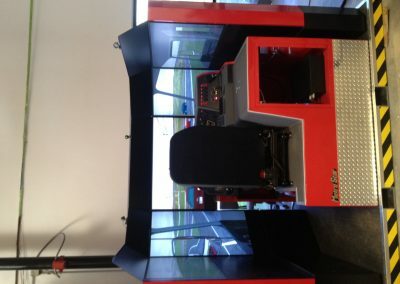 TRSIM Controls. 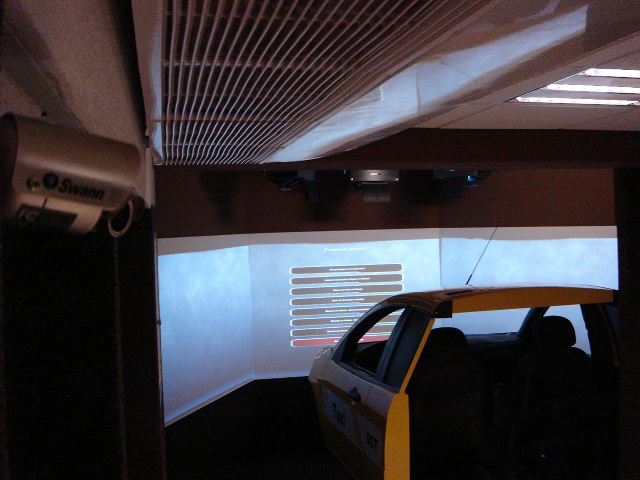 Identifying Controls and Components.